ApacheCon Europe: Can you hack the Hackathon? Can you hack the Hackathon? 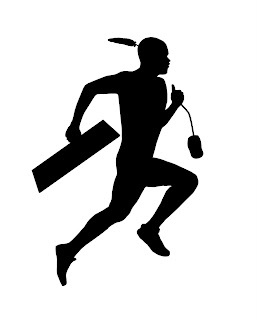 It’s like a mash-up between a marathon and a hacking session, and it’s coming to ApacheCon again this year! The Hackathon is your chance to meet up with other Apache committers and community members, and to work with them on F2F or ASF projects. For two days before the conference proper, community members will come together to grind the code, discuss the latest developments and – above all – have fun. If you haven’t been before, don’t be shy – this is the place to find out more about what it means to be a committer, and what role the committers play in the software we all use. And if you don’t want to get knee-deep in code, don’t panic – your views will be equally valid, and you’ll get a rare chance to put your ideas to the people who create the software you use. The Hackathon takes place on Monday, 23 March and Tuesday, 24 March, before the main conference which runs Wednesday-Friday. We hope to see you there! ApacheCon is the official conference of the Apache Software Foundation (ASF), drawing ASF Members, innovators, developers, vendors, and users to experience the future of Open Source development. Drawing internationally-renowned thought-leaders, contributors, influencers, and organizations in the Open Source community, ApacheCon offers insight into the culture and community that develops and shepherds industry-leading Open Source projects, including Apache HTTP Server—the world’s most popular Web server software for more than ten years running. How are you involved in ApacheCon EU?